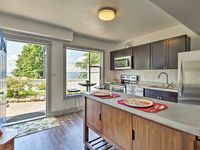 Property 2: Airy Home Near Anacortes w/Game Room & Ocean View! Property 4: 1 bedroom above main house with private entrance! 'The Windward Studio' at SeaStar Lofts -- on the Waterfront! Property 8: 'The Windward Studio' at SeaStar Lofts -- on the Waterfront! The 'Captain's Suite' at Sea Star Lofts -- On the Waterfront! Property 10: The 'Captain's Suite' at Sea Star Lofts -- On the Waterfront! Summer Deals, Attractive Condo in Center of Bham!!!! 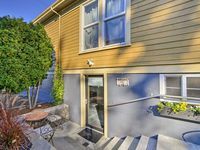 Property 16: Summer Deals, Attractive Condo in Center of Bham!!!! 'The Leeward Studio' at SeaStar Lofts on the Waterfront! Property 17: 'The Leeward Studio' at SeaStar Lofts on the Waterfront! Property 27: Water view! Luxury Suites -- walk to cafes, shops, art galleries & beaches. Blue Otter Penthouse in Eastsound. Property 28: Blue Otter Penthouse in Eastsound. Property 45: NEW One-Bedroom Luxury Apartment at Tilllinghast Seed of La Conner. Property 47: NEW Two-Bedroom Luxury Apartment at Tilllinghast Seed of La Conner.